Make your festive celebrations extra special with our best of British Christmas menu. 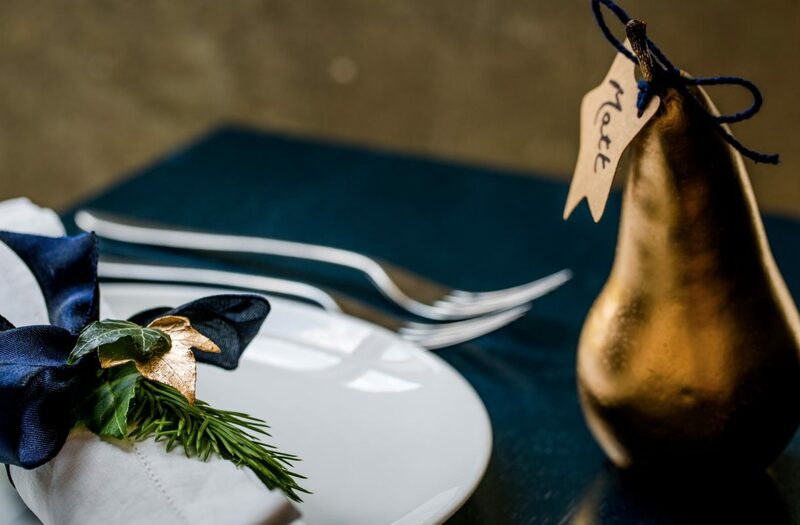 With menu highlights such as turkey wrapped in bacon served with cranberry stuffing, buttered sprout tops and roast root vegetables, and poached Cruden Bay cod fillet, roast garlic and lemon thyme braised fava beans and winter kale, our Christmas menu is not to be missed! We will be serving this menu instead of our Market Menu from 26th November – 24th December. *Includes 3 courses, a glass of Fizz on arrival and VAT. Excludes 12.5% discretionary service charge, side dishes, coffee, minced pies and crackers. Please note, our Brasserie is closed on 25th, 26th December and 1st January.